On April 1, 2019 Katie Hong will be stepping away from her role as the Raikes Foundation’s Director of Youth Homelessness and into her new role as Director of Special Initiatives. The foundation believes it’s important to engage more deeply in our region’s worsening homelessness, and nobody is better suited to lead our work in that area than Katie (you can read more about Katie’s new role and strategy here). But despite a change in leadership, our deep dedication to end youth homelessness remains unchanged. I’m proud to be carrying on our foundation’s longstanding commitment to young people experiencing homelessness as the new director of our youth homelessness strategy. I’m also deeply grateful to Katie for her leadership, vision and mentorship as she’s built our youth homelessness strategy from the ground up. Katie has turned what started out as local interest and investment in King County into an audacious statewide and national strategy to prevent and end youth homelessness. She’s never been afraid to take on challenges that most would balk at, and her unique ability to inspire others to join her in the work has contributed to the current momentum and commitment we’re seeing around the country to end youth homelessness. We believe that in the next few years we will finally be able to say that a community has effectively ended youth homelessness. Hopefully more than one. And when that happens it will be in no small part due to Katie’s hard work and dedication. And all I have to do is try and fill her shoes (no pressure). 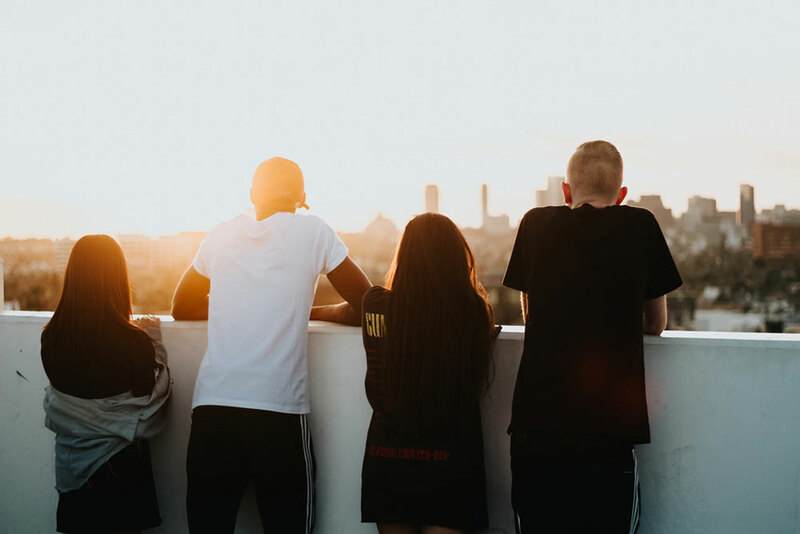 In King County, we will continue to support a coordinated, community-wide response to youth homelessness that centers equity for youth of color and LGBTQ young people. We will also continue our work to prevent youth homelessness through the juvenile justice, child welfare, education and behavioral health systems. Across Washington state we will support community-driven solutions to end youth homelessness like A Way Home Washington’s Anchor Community Initiative, continue to lift up the voices of young people as their own advocates in the legislature and support the Office of Homeless Youth’s work to ensure every young person leaving a public system of care has safe and stable housing. And nationally, we will continue to help build awareness, support communities to learn from each other as they work to truly end youth homelessness and invest in national prevention and early intervention efforts. And at all levels, we will stay true to our belief that young people with lived expertise must be the driving force behind change. I’m looking forward to working in partnership with our grantees and communities here in Washington state and across the country toward a future where every young person has a safe place to call home.